Millions of people across industries and roles have won back lost time by using Boomerang to write emails that get more responses, schedule meetings with less back and forth, and more. 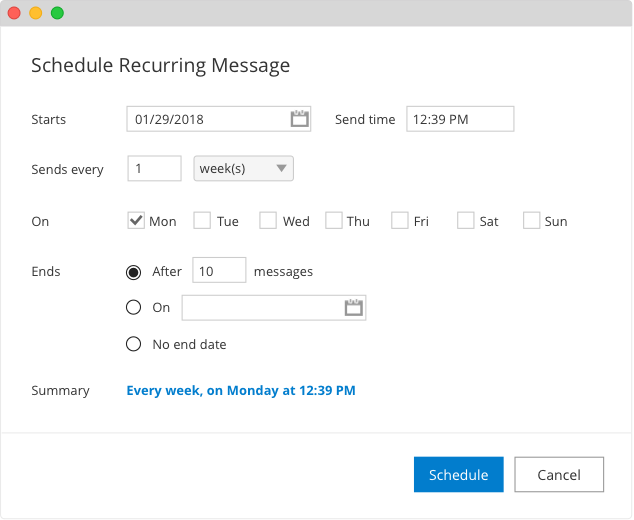 Boomerang brings powerful meeting and calendar availability features, automated follow-up reminders, and simplified email scheduling to Outlook, on desktop and on the web. 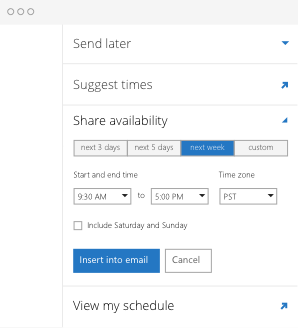 Schedule meetings with just one email! Click times you'd like to meet inside a view of your schedule, then send it as an always-up-to-date visual calendar grid embedded into an email. 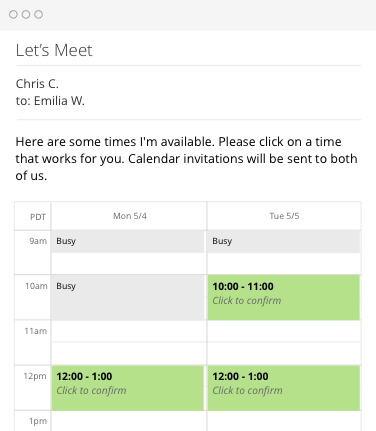 Recipients can confirm the meeting by just clicking a time that works for them and calendar invitations will automatically be sent to all of the attendees. Sending a follow-up message increases response rates by 48%. Important conversations won't fall through the cracks and you can stay on top of everything without feeling stressed. A well-timed email is 30% more likely to be read than a poorly-timed one. Boomerang's send later feature lets you write a message now, then have it delivered whenever is best, without keeping your computer on. 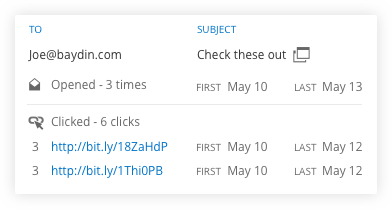 The recurring messages feature puts sending out repetitive emails on autopilot! Send a timekeeping email every Friday, a reminder to udate the CRM at the end of every quarter and remind yourself to check in with a prospective client the first day of every month. 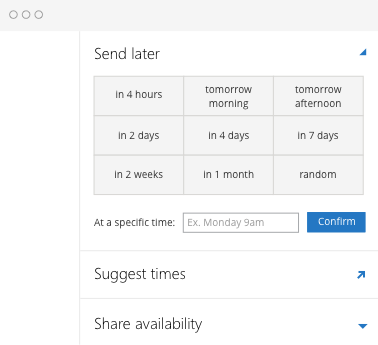 Embed your free/busy status inside an email that automatically updates as your schedule changes. Recipients can use any mail system, and it just works - even on mobile! Only your free/busy information is shared, and the links expire, so your privacy is always protected. 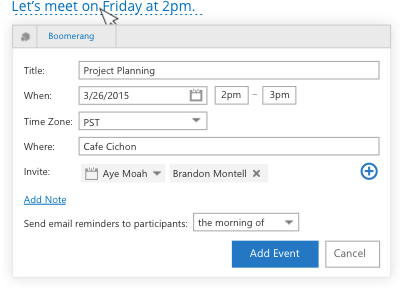 Scheduling meetings happens via email - Boomerang makes email good for scheduling meetings without errors! Look up your schedule/agenda for the day without having to switch windows and try to remember which times were suggested. Most importantly, Boomerang prevents you from accidentally double-booking yourself. 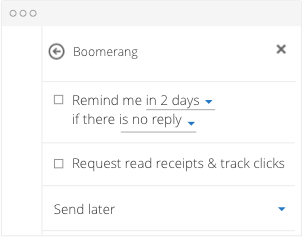 With Boomerang read receipts, you can get notified both when a recipient opens your email and when they click on any link in the message. 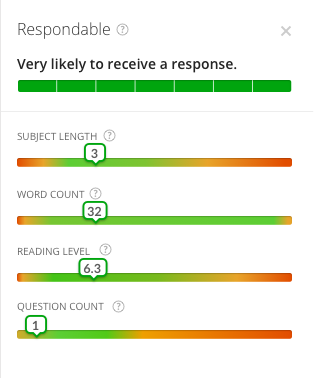 You'll be able to follow-up (or not have to) knowing whether your email was read. And unlike most email tracking software, Boomerang's read receipts respect privacy, reducing the chance your email is marked as spam. You won't need to reschedule meetings, and you can spend all that time you used to spend managing your calendar on closing more deals. Boomerang gives your entire organization an assistant that makes scheduling meetings and organizing your calendar & inbox a breeze. From freelancers to CEOs to admins, organizing your email becomes more difficult each year. Regardless of what's on your business card, if you have a crowded inbox, Boomerang can help.